If you haven’t tried CaptureFix yet to get your Pentax 645Z images imported into Capture One, you will find out once you do, that PhaseOne not only deliberately blocked 645Z images from importing, but they also no longer assign an ICC color profile that allows you to get a true representation of the colors when you took that image. 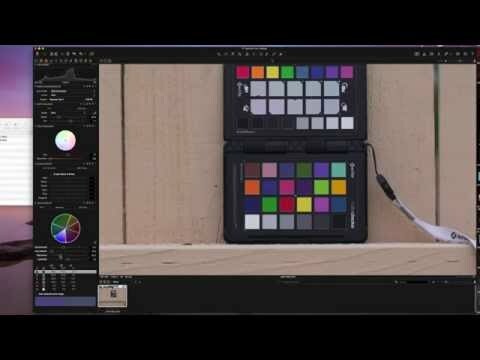 As I am always using a color calibration target in my workflow, I have gotten used to the quirky way of managing color in C1, but others probably never saw the need for it. I received many requests from CaptureFix users as to how they can adjust the color, or if I could provide my ICC profiles to them. Although I have a base profile, I usually shoot a target and make adjustments where necessary. As this is really no rocket science I felt the need to make a quick video showing how you can easily make those adjustments yourself going forward. I will also include my basic color profile and settings in this post, free for you to download and use. Keep in mind that these are “close enough” starting points. They are not meant to be perfect, but they will get you close to where you probably would want to start or be at with your adjustments. The below video was made using C1 8.1.1 and files modified with CaptureFix. As you probably noticed, there are several ways to apply the color correction you made. You can apply it as a default ICC profile for the 645Z (in the ICC tab) once saved as an ICC profile, or you can simply apply it upon import to each file as a user color preset. I think the ICC approach may be easier, if you want to use your (or my) profile as a base from where you will make additional adjustments as needed. On OSX make sure to put the ICC profile into ~/Library/colorsync/profiles/ so that C1 is able to find it. As always, this is provided free and as is. Make sure to reach out and let me know if you have other issues or found the perfect ICC you would like to share with me. Enjoy! Please fill out the form below so I can send you the latest version of the ICC Profiles. If you have signed up for CaptureFix updates already, you will receive the ICC profile and updates automatically.